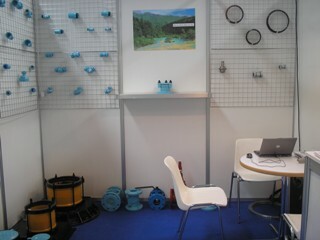 Rockpower in Smagua 2008,News,Rockpower - Fluid Handling Equipment and Machine Parts. As a part of international marketing activities ,Rockpower took part in Smagua 2008. Smagua in Spain is very well received by the local wator sector and a large number of exhibitors. Thw exhibition offers an opportunity for companies to put their products and services before purchasers from central and local goverment, industry, agriculture, NGO's, and other key players from the entire world. In Smagua 2008, we contacted with sevaral European leading companies in the fields of Ductile Iron Pipe Fittings and Valves, Meters. Also we have the honour to introduce our high quality Flow Control Equipments to Eropean Markets.